I think I've purchased these fabrics last September with the intention to start my own quilt. But life got in the way. And now almost a year after I finally found the time to make a start! Excitement along with fear of triangling are the state of my mind since yesterday morning. I found a few tutorials to help me with the process, but still I feel so frightened of sewing triangles. Yesterday evening was dedicated to cutting. 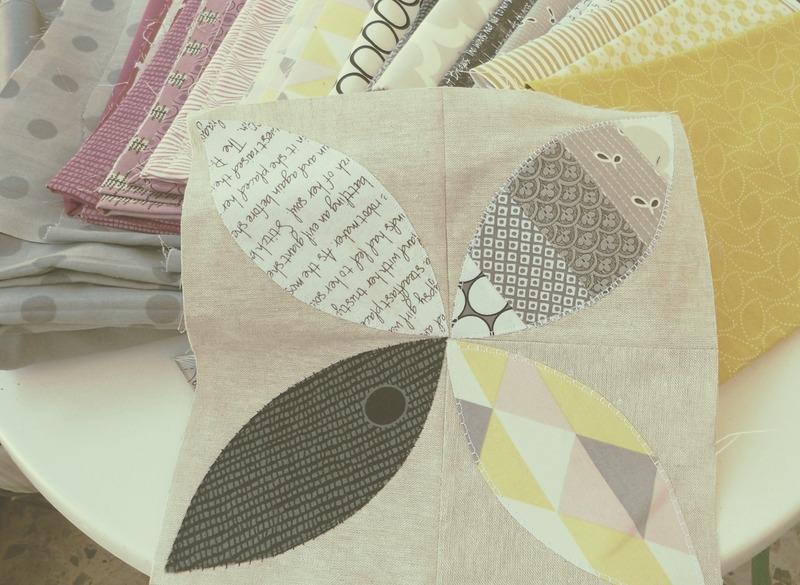 These are cute tones,why are you worried about the triangles I see ypu also have applique which is harder ??? when are you coming over ? maybe we can arrange for you to come when there are other quilty friends over so we can have a quilt bee sort of hhhmmm. they are english speaking.